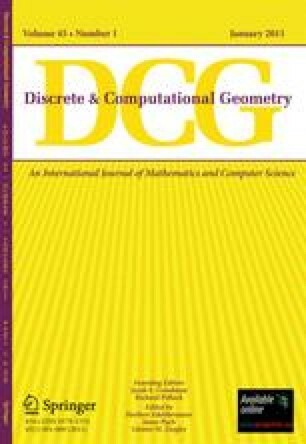 This paper proposes new methods to answer approximate nearest neighbor queries on a set of n points in d -dimensional Euclidean space. For any fixed constant d , a data structure with O(\(\varepsilon\) (1-d)/2 n log n) preprocessing time and O(\(\varepsilon\) (1-d)/2 log n) query time achieves an approximation factor 1+\(\varepsilon\) for any given 0 < \(\varepsilon\) < 1; a variant reduces the \(\varepsilon\) -dependence by a factor of \(\varepsilon\) -1/2 . For any arbitrary d , a data structure with O(d 2 n log n) preprocessing time and O(d 2 log n) query time achieves an approximation factor O(d 3/2 ) . Applications to various proximity problems are discussed. Received May 28, 1997, and in revised form March 4, 1998.